I currently have in stock strut assemblies for the Chevy Volt in surplus in addition to other various Chevy Volt and Ampera parts! 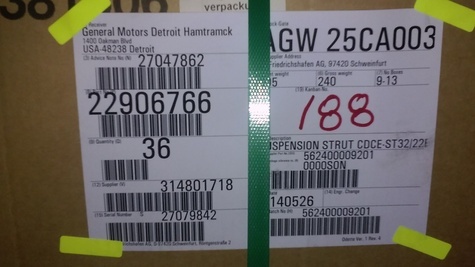 These parts are all OEM genuine parts supplied to me directly from GM manufacturing! The asking price is $25 each but can be negotiated pending he amount purchased! If you are interested in this part or any other Volt or Ampera part contact me ASAP!